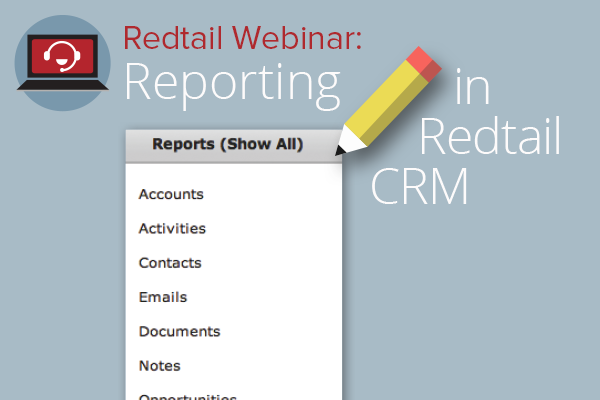 Redtail CRM is designed to track your entire history of client activities, notes, and a plethora of other information. The best way to find this info? REPORTS! Come learn about the many different ways that you can run clean, clear reports so that you can see the data you've accumulated when you want and how you want.